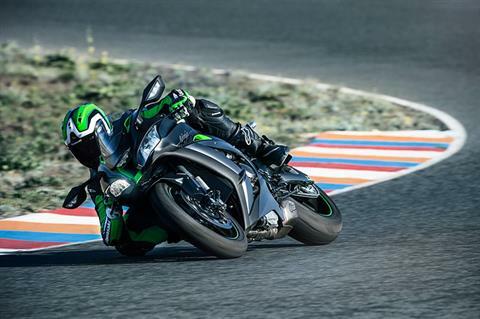 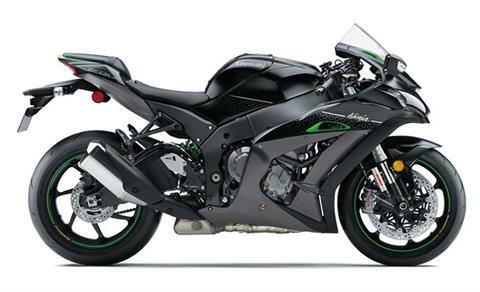 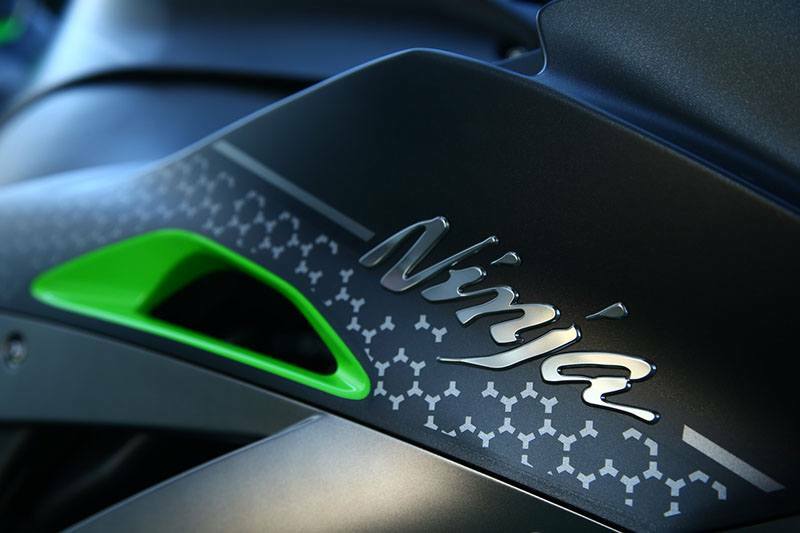 THE NINJA® ZX™-10R SE IS THE ULTIMATE RACE-REPLICA STREETBIKE. 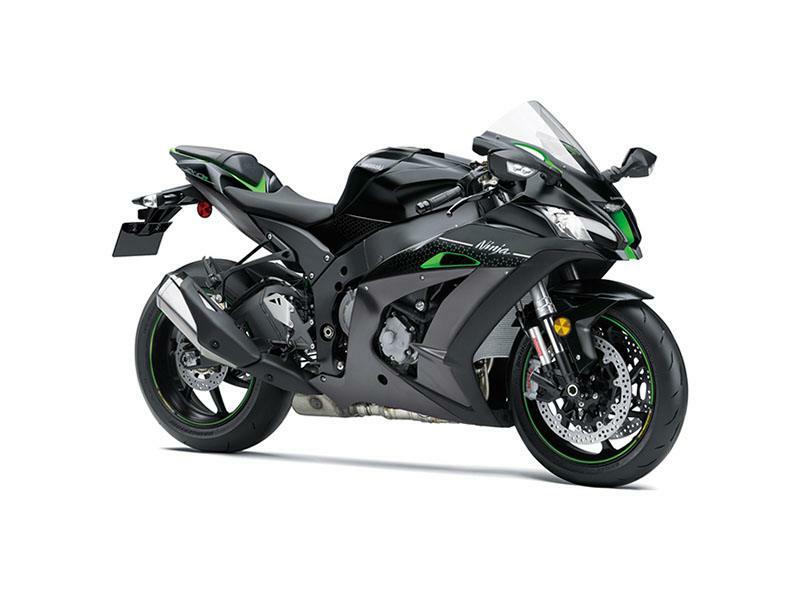 BASED ON THE WORLD SUPERBIKE CHAMPIONSHIP WINNING NINJA ZX-10R, THIS MODEL ADDS STATE OF THE ART ELECTRONICALLY ADJUSTABLE SUSPENSION, FOR COMFORT ON BACK ROADS OR FIRMNESS ON TRACK DAYS WITH THE PUSH OF A BUTTON. 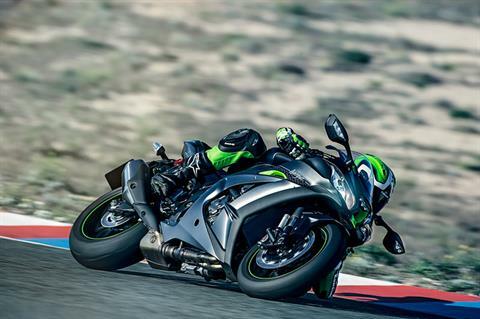 998 cc OF CHAMPIONSHIP-PROVEN POWER: Massive power. 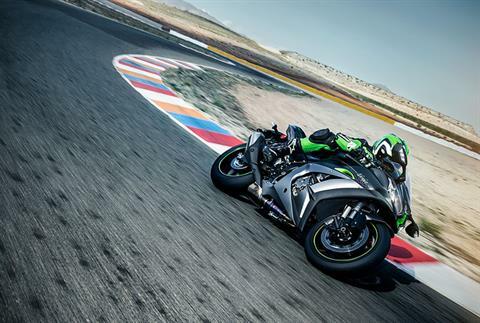 Refined power. 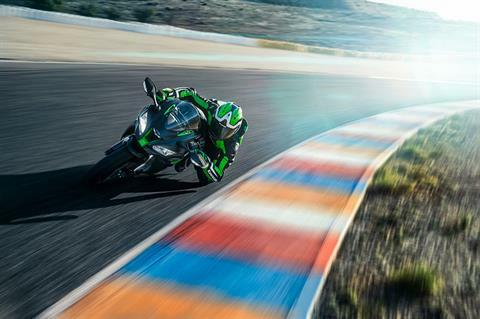 Dominant power. 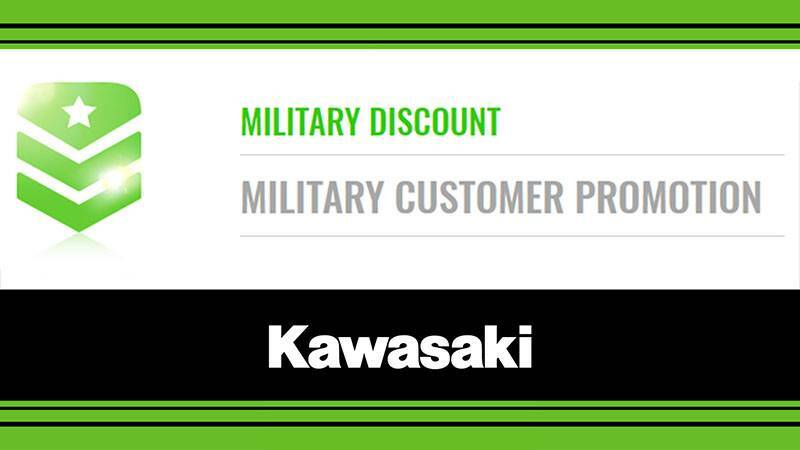 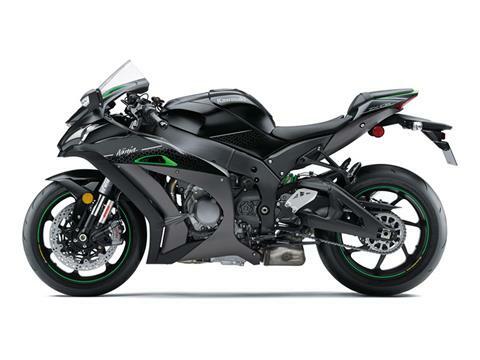 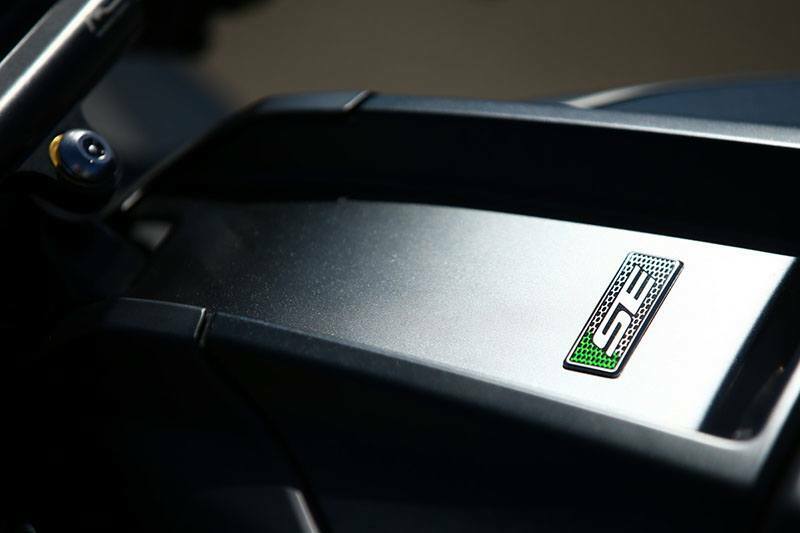 The Ninja® ZX™-10R SE motorcycle’s engine possesses all of the above. 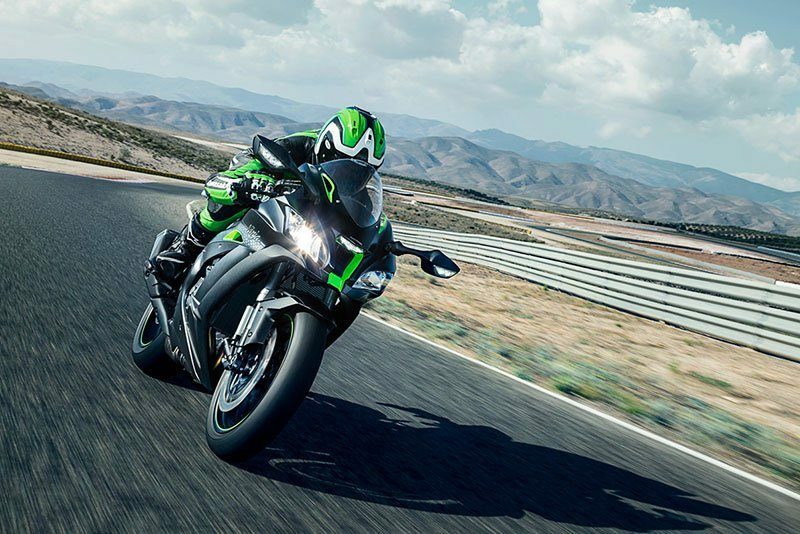 HANDLING TECHNOLOGY: The Ninja® ZX™-10R SE features World Superbike Championship proven technology delivering unrivaled agility, control and handling. KQS (KAWASAKI QUICK SHIFTER): Enables the rider to upshift or downshift gears without using the clutch while out on the track. 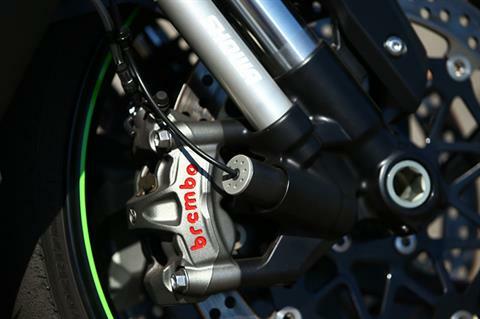 POWER MODES: Riders can set power delivery to suit conditions and/or preference: Full (100%) mode, Middle (80%) mode, and Low (60%) mode. Front - 43 mm inverted Balance Free Fork, KECS controlled compression and rebound damping, manual spring preload adjustability; Travel - 4.7 in. 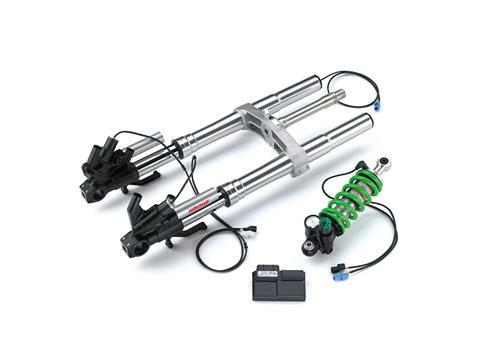 Rear - Horizontal back-link with Balance Free gas-charged shock, controlled compression and rebound damping, manually adjustable spring preload; Travel - 4.5 in.